We’re pretty excited about the release of PROJECT on the iPad last week, and it’s gotten us interested in some other reading material on our favourite tablet too, so this week we’re going to be taking a look at all the different kind of reading material available for the device, from comics to newspapers. Comic books are a great place to start, because they have been so influential not only to people who have read them for years, but also to people who haven’t picked up a single one. Thanks to the film industry, popular figures such as Batman have been thrown in to the limelight and been adored by millions. If you want to know where the stories all started then you’ll want to pick up the comic books, and this has become a whole lot easier thanks to the iPad. A few publishers have their own, separate applications, but as I prefer everything to be in one place I tend to use Comixology’s ‘Comics’ app. 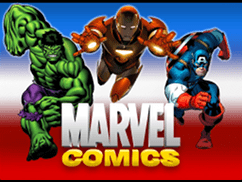 ‘Comics’ contains content from a host of publishers including DC Comics (publisher of the Batman and Superman series), Image (publisher of The Walking Dead) and Marvel (publisher of Spider-man and Iron Man). To purchase content from the Comixology store, you’ll need an account, as you can also access your purchases from the web if you haven’t got your iPad with you. The layout of the application itself is really easy to navigate, and has been well designed. On the main store screen, you have a layout very similar to that of the iTunes store, with a featured item front and centre. Next to this panel is another three items which are currently featured. Under this is a “new & noteworthy” panel, which is pretty self explanatory. You can navigate the store via the tabs at the top of the page – this also houses a dedicated DC store – and search for specific comics too. All of your comics are stored in the “My Comics” section of the app, and you can simply tap on them to be taken in to the comic itself. The interface here is really simple, but super effective for you to easily read. You are given an overview of the entire page when you open the comic and to enter guided mode, you can simply double tap on any pane. Swipe right to go forward a panel, and left to go back one. Does it get any simpler than that? 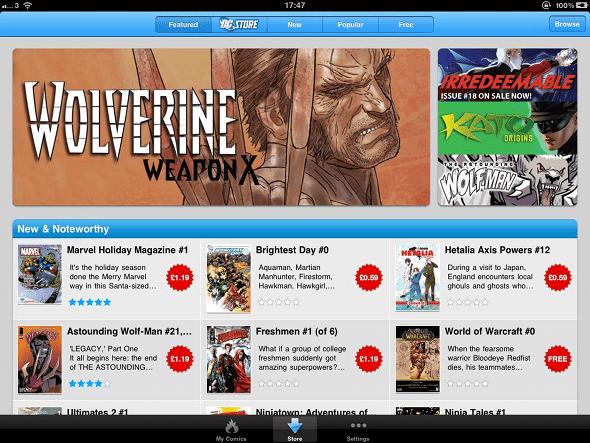 Whether you’re in to comic books or not, it’s definitely worth checking out one of the apps on the iPad. 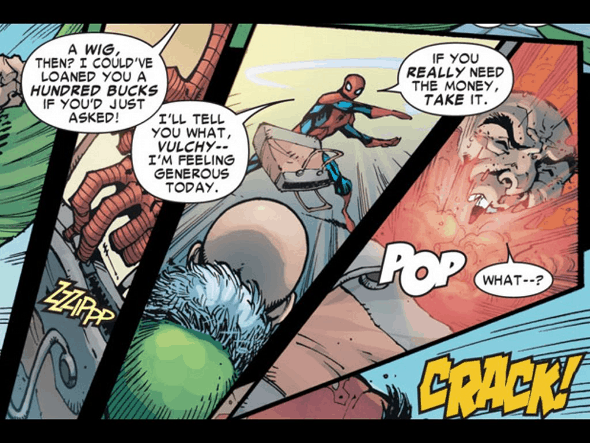 If you download the Marvel application, you can download the first issue of a number of comics for free. Comixology also has a free section in its store too, which includes opening issues of a number of series, such as The Walking Dead, and some other previews as well. The app itself is free to download, so be sure to grab it for your iPad and let us know what you think. Do you have any favourite comic book apps or comics? Let us know in the comments!